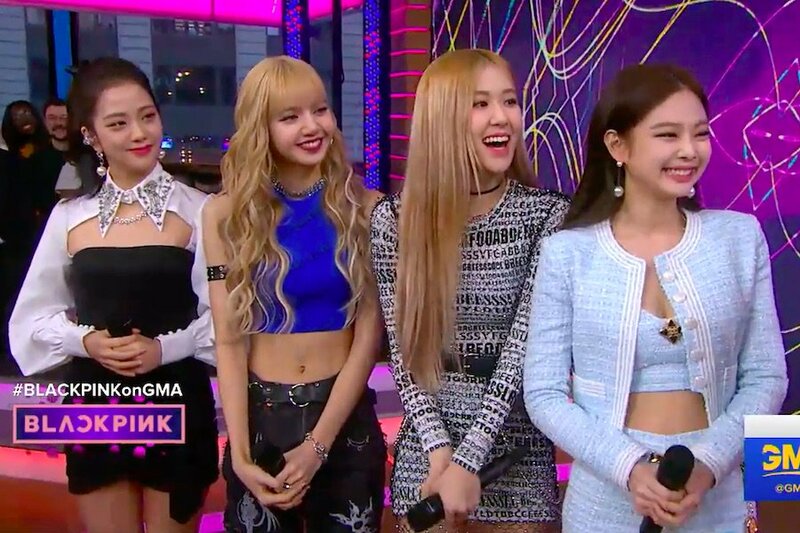 Soompi's tweet - "WATCH: #BLACKPINK Slays As They Perform “DDU-DU DDU-DU” On “Good Morning America” #BLACKPINKonGMA #GMAwithBLACKPINK "
Armys if youre here to compare or hate please leave. Youre toxic to our fandom thanks. #GMAwithBLACKPINK and #BLACKPINKonGMA both trending on WW trends🙂 Congrats girls!!! DO YOU SEE MY PRINCESS JISOO IN THAT OUTFIT LOOKING LIKE A GODDESS?? Congratulations, Blackpink! 💕 I'm sorry for the hateful comments from some armys but most of them are fake accounts. Ddu du ddu du ?????? Pqp...com tanta Forever Young p/ apresentar foi logo na coisa mais sem graça do grupo..